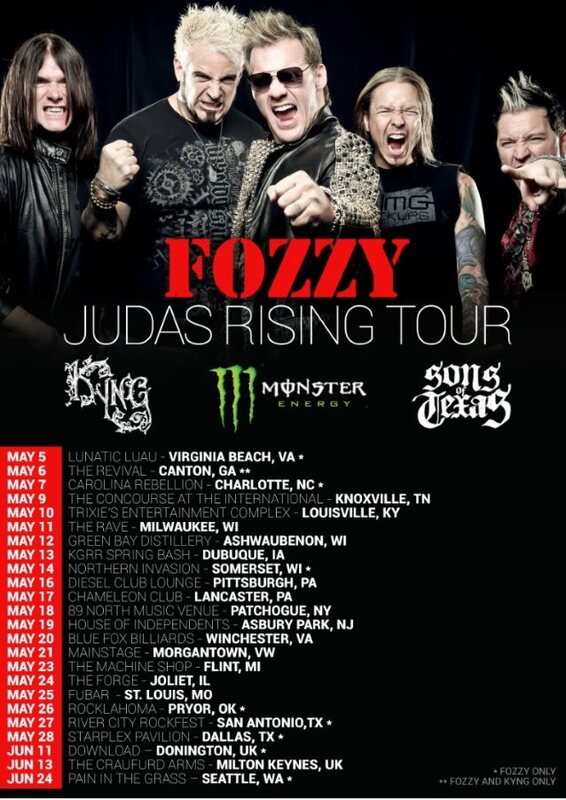 "Judas", the brand new single from FOZZY — the band featuring WWE wrestling superstar Chris Jericho alongside members of STUCK MOJO — received its world premiere earlier tonight (Sunday, April 30) on the BBC Radio 1 "Rock Show" with Daniel P. Carter. You can now listen to the song at BBC.co.uk, beginning at around the 1:58:20 mark. "Judas" is the title track of FOZZY's new album, which will be released this summer via Century Media. Jericho told "The Front Row Report" about what fans can expect from the new disc (hear audio below): "It's definitely the next step. It's an extension. It's more of an evolving FOZZY. We really put a lot of stock in bands like U2 and GUNS N' ROSES and METALLICA, and I think the best example might be David Bowie, where there's always different styles, different eras, and we like that too. And we're not completely changing what we do. But there's different more melodies and this is very much a hookier record. There's not as many guitar solos on the record, but it's still heavy and melodic. It's an evolution from 'Do You Wanna Start A War'  as much as 'Do You Wanna Start A War' was an evolution from 'Sin And Bones' . I think it's a great trilogy of records that shows a lot of growth, but it's still very heavy and very melodic. Like I said, the trilogy of records — from 'Sin And Bones' to 'Judas' — I think they're all very great records that have a little bit different elements to them all, which is a key to longevity for sure." 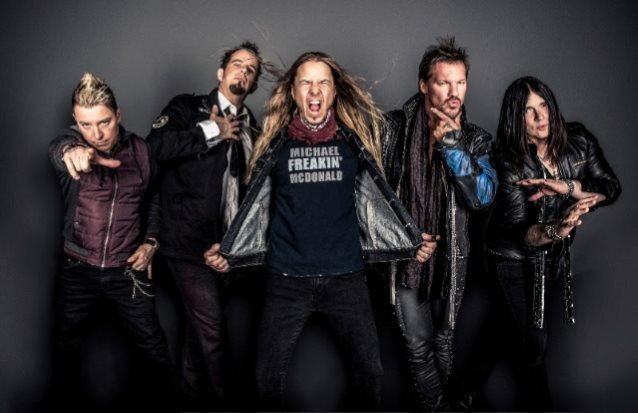 Jericho also talked about the songwriting process for "Judas", which was composed during late 2015 and most of 2016 while FOZZY took a break from the road. "We never really sit in a room and write," he said. "In the past, I would write my parts and send them over to [guitarist] Rich [Ward] and Rich would send it back to me. Also, we had Johnny Andrews writing with us for the whole record. He wrote 'Lights Go Out' on the last record, so we wanted him involved. He produced the record, so Rich and him did a lot of sessions [in the studio where they spent many hours] jamming it out… We wanted to give him total control and let him produce the record and make the record that he thought we should make, and we're really happy that we did." FOZZY recently announced the return of bassist Paul Di Leo. Paul previously played with FOZZY between 2011 and 2014 and appeared on the group's last two studio albums. After "Do You Wanna Start A War"'s release, Di Leo was replaced on the road by Jeff Rouse and later by Randy Drake. "Do You Wanna Start A War" sold around 5,600 copies in the United States in its first week of release to debut at position No. 54 on the Billboard 200 chart. The CD arrived on July 22, 2014 via Century Media.